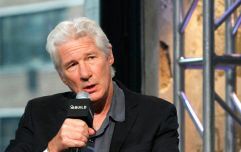 Richard Gere has become a dad for the second time at the age of 69. He and girlfriend Alejandra Silva welcomed their first child together, a baby boy, over the weekend. The 35-year-old publicist gave birth on Saturday in New York, according to Spanish magazine, Hola! Silva announced her pregnancy last September via an Instagram post that hashtagged both her husband and the Dalai Lama. It read: "A very special moment just a few minutes ago... Getting blessings for our precious to come... we couldn’t announce it before telling HH Dalai Lama #dalailama #richardgere #alejandragere #love." Silva and Gere married last year in a secret ceremony. He has one other child, 18-year-old Homer, from his relationship with Lowell. Silva also has a five-year-old son from her previous marriage to Govind Friedland. Speaking to Hello! at the time of his secret marriage to Silva, Gere said that he was "... the happiest man in the universe." "How could I not be? I'm married to a beautiful woman who is smart, sensitive, committed to helping people, who's fun, patient, who knows how to forgive, who's a great cook – and who makes the best salads in the world!"